Hello! 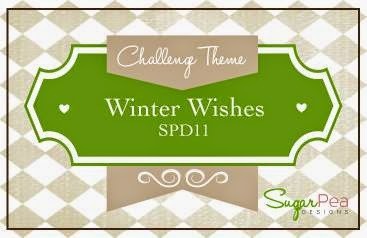 It's time for a new challenge at SugarPea Designs, and this time we want to see your winter themed cards! 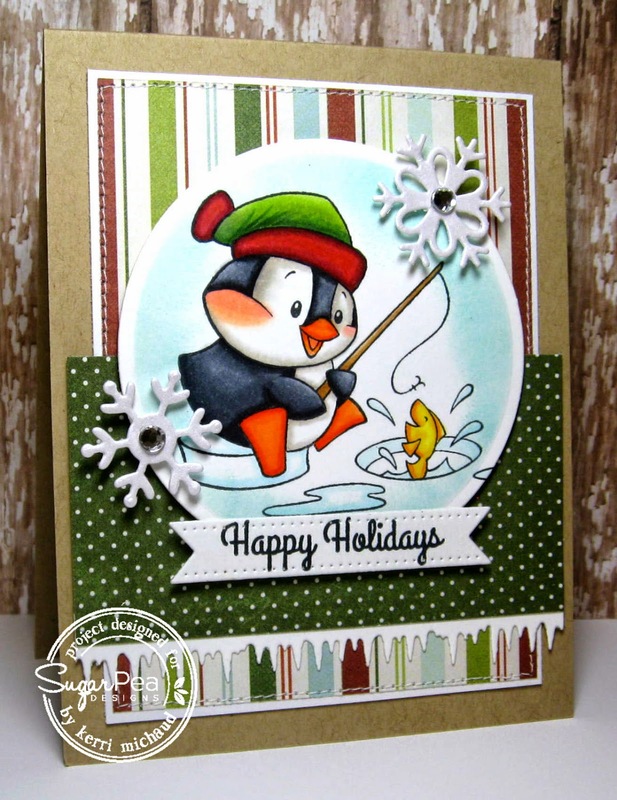 I used this darling penguin from the SPD set Have an ICE Day. I stamped the image with Memento Tuxedo Black and colored with Copics. I cut it out with a circle nestability and sponged around the image with aqua ink before removing it from the nestability. I stamped a sentiment from the set onto a Gift Tag Sugar Cuts Die and added the icicle border and snowflakes. The dp I used is Simple Stories December Documented. So cute, Kerri! I especially love your shading around the edge of the image. The way you created it gives it a snow globe look! Great icicles and stitching. I love this papers you used for him, great colouring job too!